Spring is upon us and it’s time to start thinking about the garden. 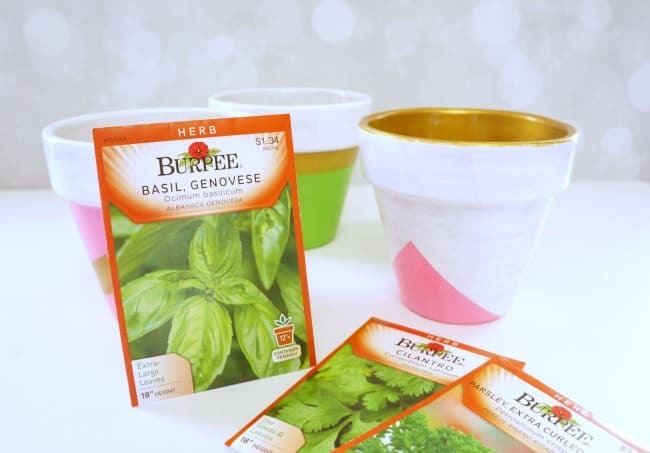 These pretty painted pots are the perfect way to start a herb garden inside then transfer them outside when the threat of frost is gone. 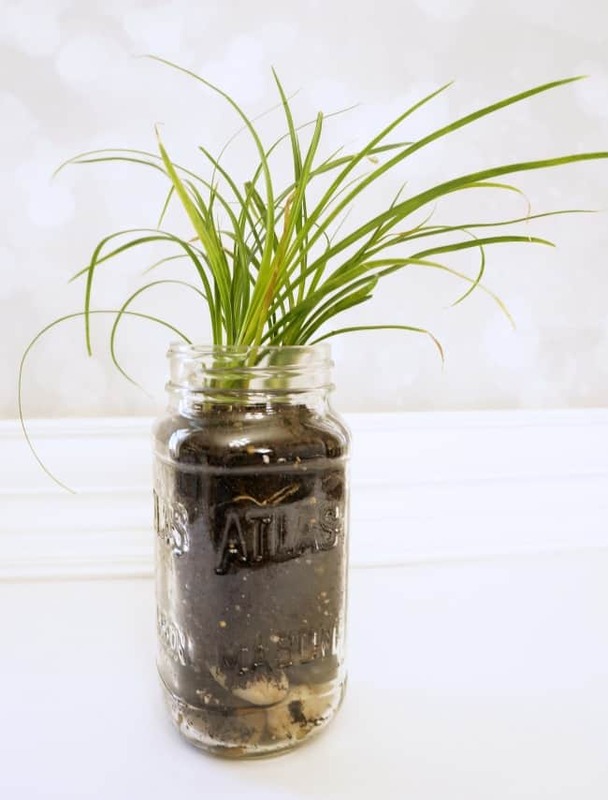 Learn how to paint and seal flower pots and bring a little green into your home. Painted flower pots are beautiful, to keep them looking good year after year it is important to seal them. 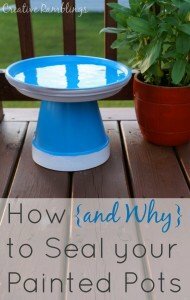 Step 1: Spray the clear gloss top coat to seal flower pots and let dry. Be sure to follow the directions on the back of the can. This prevents water and soil from seeping through the porous terracotta. 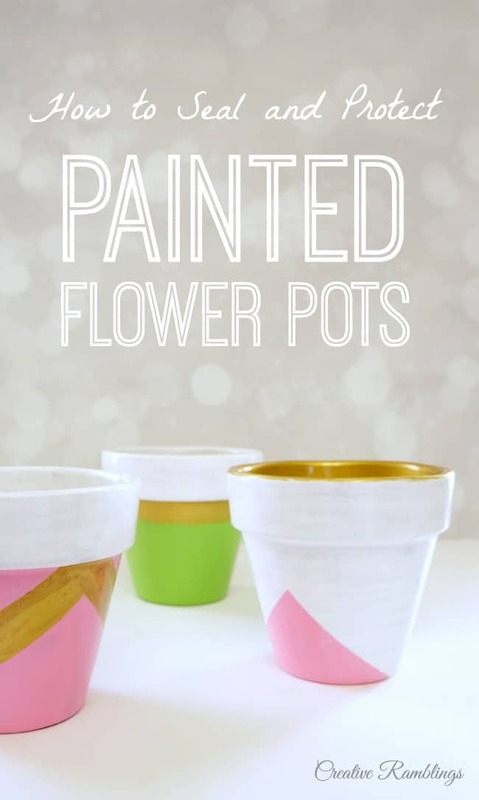 Step 2: Paint the pots using craft paint in a fun and colorful design. I painted just the inside rim of my pots as well as the outside. Let this dry. Step 3: Spray the entire pot with the clear gloss top coat to seal and let dry. 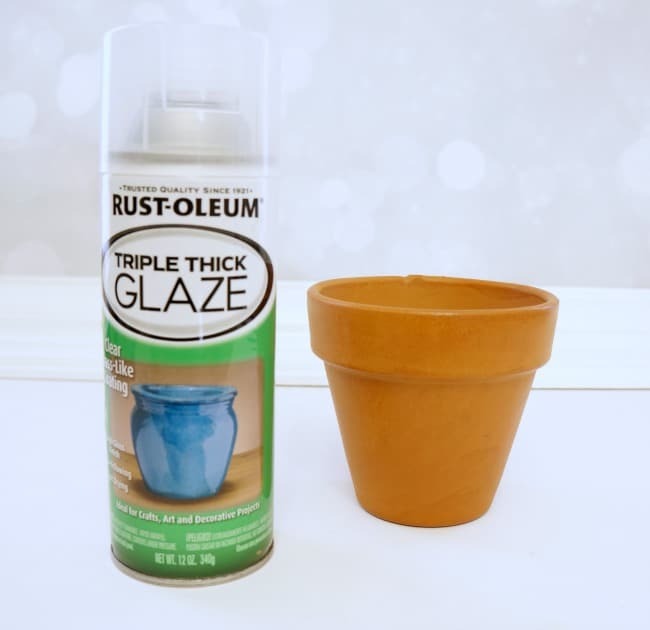 This final step helps seal the flower pots and keep any moisture inside the pot, not seeping through and cracking your paint. Water and naturally seep through a porous terracotta pot. If that pot is painted, and not sealed, the moisture will crack the paint. 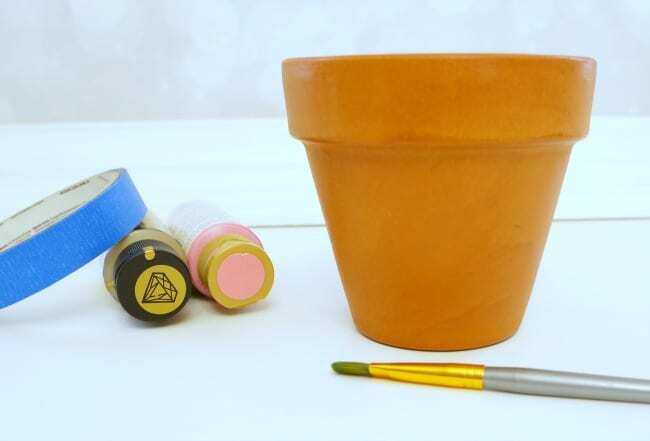 When you seal flower pots you keep the moisture inside the pot and your paint in good condition. I’ll let these herbs grow in my kitchen until warmer days are here for good. Then I will move them out to my deck for summer. The clear gloss top coat protects my painted pots from the elements as well as natural seepage from the plants inside the pots. I hope this inspires you to paint some pretty pots this Spring, be sure to seal them to keep them looking good year after year. 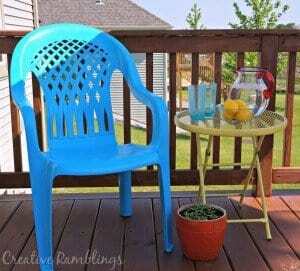 Those pots are so cute, and I need a can of that spray paint! Have you used it on anything other than terra cotta? So very cute!! What a great product!! Painting some pretty pots this Spring, be sure to seal them to keep them looking good year after year. Thank you for this idea, your plants and painted flower pot are inspiring.